WordPress Walkers are very useful solution for custom tree-like data structures. Today i will share simple code for Walker_Category class, which allows you to build custom structure when you call wp_list_categories() function. We know that generally when you call this function it gives you standard ul-li structure which is only customizable its arguments. But if we want to change its tree-like structure, then Walker_Category will help us. 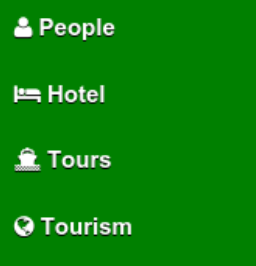 So lets say that we want to add some icons before category names. Let’s get started. Also with using functions of our class we can build any kind of data-structure for categories menu. Thank you very much for this. Helped me alot to create a modal form to post from front end. Now i’m trying to use the same modal to edit posts. The only thing i couldn’t acomplish is how to load the categorie list with some categories checked. There’s a way ? Annoying ads in your Android lockscreen?